You, God, see the WORLD in a grain of sand and HEAVEN in a wildflower; You hold INFINITY in the palm of Your Hand and ETERNITY in an hour! What is meant by "The Hand of the Lord?" Several Scriptures describe the "Hand of God" moving and guiding people (1 Samuel 5:11; 2 Chronicles 30:12; Job 19:21; 27:11; Ecclesiastes 2:24; 9:1). These passages do not mean that God literally has a hand. The hand of God is not speaking of a literal body part but rather, just as a father lovingly guides and patiently disciplines a child with his hand, so are we guided by "the Hand of God." We know that God is a Spirit, not a human being, but we can understand His working when we use such phrases. The Bible uses the term "the Hand of God" to refer to God's power, strength, and ability to act in His creation. It also refers to the full spectrum of God's activity in relation to His Creation. Other terms are also used: (a) We are told of the "arm of the Lord." (b) The "finger of the Lord." (c) And the "eyes of the Lord." (d) These are similar in meaning, but the primary term is …"the hand of the Lord!" The Providence of God are God's actions within creation as He upholds everything. God makes the sun to rise, rain to fall on the just and unjust. 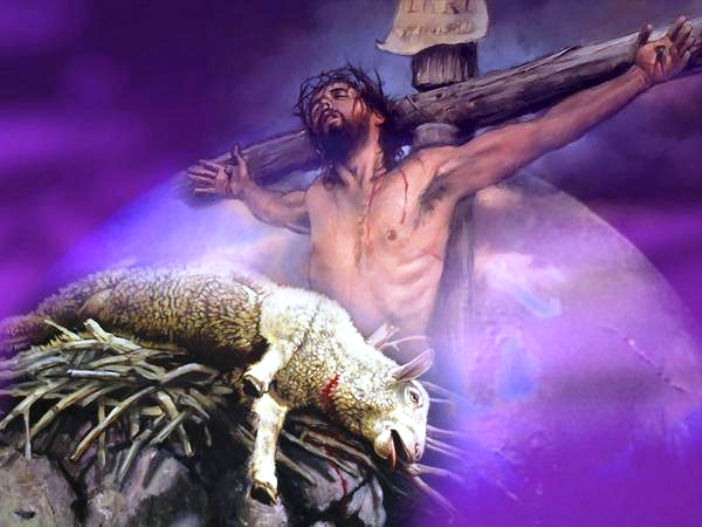 God feeds the animals and the birds (Psalm 104:10-28; 145:15-16). God holds everything together (Colossians 1:17). God's Special Providence is God's actions specifically for the benefit of His chosen people (Psalm 119:73). This is usually what is being referred to when people speak of God's providence - we are to humble ourselves under the "Mighty Hand of God" (1 Peter 5:5-6) and God will exult us in due time. In every situation that we face - we must expect adversity …but claim victory! Often when we are going through a difficult or confusing time, we are unaware of how God is guiding us. Years later it becomes very clear why God brought us through that experience the way He did. Looking back, the "Hand of God" can then be clearly seen moving, guiding, protecting and providing for us. We see in James 1:2, that time of trial is rarely enjoyable. At the same time, there are many instances where a trial or struggle is looked upon as the most meaningful spiritual time in a person’s life. "Fear thou not; for I am with you: be not dismayed; for I am your God: I will strengthen you; yea, I will help you; yea, I will uphold you with the right hand of My righteousness," Isaiah 41:10-14. We are not to fear…! God's hand is still active, it is still mighty. God is still able to strengthen …and is still able to deliver …and still able to help His people! When God’s Hand is upon us we prosper in Kingdom things… "This Ezra went up from Babylon; and he was a ready scribe in the Law of Moses, which the LORD God of Israel had given: and the king granted him all his request, according to the hand of the LORD his God upon him," Ezra 7:6. What was Ezra’s secret that the hand of the LORD was upon him? This phrase and others similar to it mean that God’s favour was upon his life and that God’s presence was with him …and He was using Ezra to accomplish His will. Ezra lived around 500 years before the birth of Christ. Unlike many of the great men in the Old Testament, Ezra was NOT a prophet but rather a priest. He had been a part of the Jews who lived in captivity under the Babylonians and no doubt his life had been greatly influenced by men like Daniel, Shadrach, Meshach, and Abednego. God used Ezra in a great way to help rebuild the Nation of Israel after their years of captivity. Ezra was also associated with two other great men of the Bible; Zerubbabel and Nehemiah. Nehemiah was the man God used to miraculously re-build the walls around the city of Jerusalem. 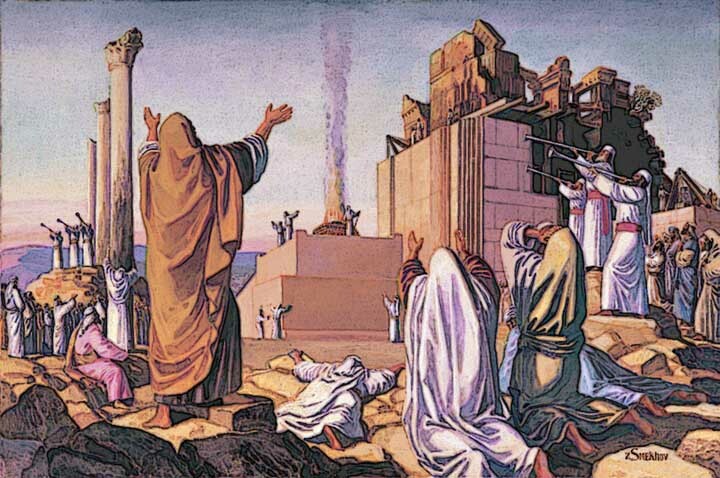 Zerubbabel preceded Ezra and was used by God to rebuild the temple of Jerusalem. The first six chapters of the Book of Ezra relates to the work of Zerubbabel. Chapter eight of the Book of Nehemiah includes the ministry of Ezra. In some ways, we could say that; God used Zerubbabel to rebuild the praise and Nehemiah to re-build the protection and Ezra to rebuild the people. Ezra did not dream up the plan to go back to Jerusalem - He responded to what God was already doing. Just as God is always at work around us today …God was already at work in the life and times of Ezra! Sixty years before the call of Ezra, God stirred in the heart of king Cyrus to allow the Jews to return and rebuild (Ezra 1:1-5). God worked through a secular leader (Artaxerxes) to bring about his good purposes (Ezra 7:12-28). Again, we are reminded that; "the king’s heart is in the hand of the Lord; he directs it like a watercourse wherever he pleases," Proverbs 21:1. Ezra sought "God’s help through sincere prayer… "Then I proclaimed a fast there, at the river of Ahava, that we might afflict ourselves before our God, to seek of him a right way for us, and for our little ones, and for all our substance. For I was ashamed to require of the king a band of soldiers and horsemen to help us against the enemy in the way: because we had spoken unto the king, saying, the hand of our God is upon all them for good that seek him; but his power and his wrath is against all them that forsake him. So, we fasted and besought our God for this: and he was intreated of us," Ezra 8:21-23. Ezra was about to lead an envoy of priests and other temple workers to Jerusalem in order to re-establish proper worship. Their journey would take them through many enemy nations. In addition to this, they were taking with them their families and over 24 tons of silver and over 4 tons of gold. King Cyrus offered to send soldiers along to help protect them …but, Ezra had already proclaimed that God would protect them! Here we see that God is a rewarder of those that diligently seek Him. Ezra knew that the "Lord’s Hand" was on him… "Because the hand of the Lord my God was on me, I took courage and gathered leaders from Israel to go up with me," Ezra 7:28. Ezra takes a further 1,500 men with him (Ezra 8:1–14). Jabez was a man that understood the importance of "God’s Hand" in prayer… "And Jabez called on the God of Israel saying, ‘Oh, that You would bless me indeed, and enlarge my territory, that Your hand would be with me, and that You would keep me from evil, that I may not cause pain!’ So, God granted him what he requested," 1 Chronicles 4:10. Jabez wanted God to be in every moment of his day. 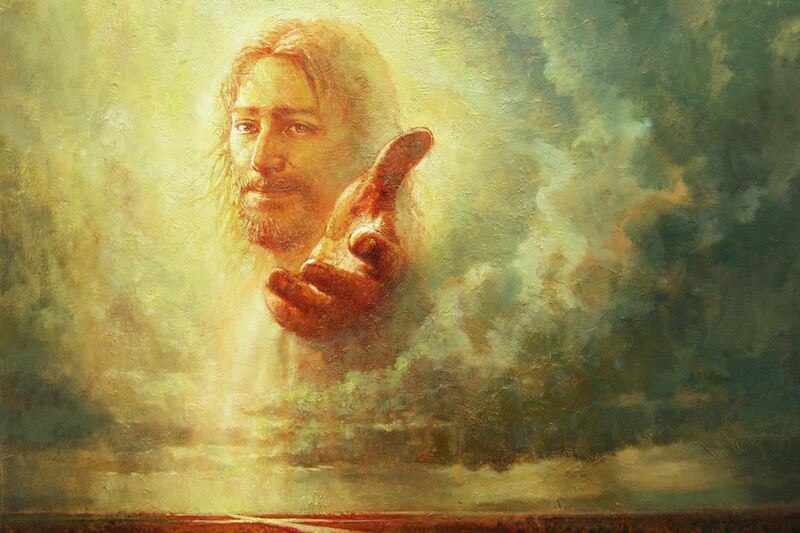 He understood the power of "God’s hand" to protect and to lead in the right direction and that blessings will become curses if it is not "God’s Hand" providing and guiding. Jabez was a descendant of King David. He knew the story of David - "the man after God’s own heart." He knew the story of David defeating Goliath, showing strength from God in the midst of trials …and Jabez understood what God’s Hand of favour was all about! 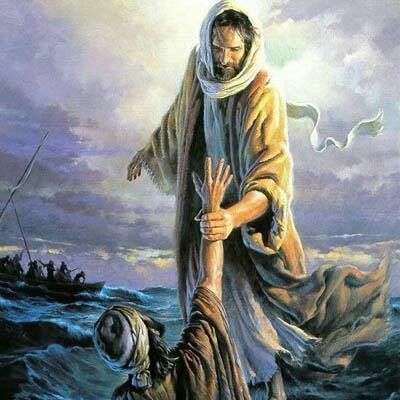 Peter felt the "Hand of the Lord" in the midst of a storm when he began to sink God’s Hand rescued him! Matthew 14:22-33! Isaiah tells us that Israel is “engraved” in God’s hand… “See, I have engraved you on the palms of My Hands; your walls are ever before me,” Isaiah 49:16. Of course, the context of the verse here is about Israel. The word “engraved” means that God has Israel and the Jews - the people of God - “etched out” or “carved” in His Hands! God is telling the world that Israel is precious to Him! And, just like Israel, God, is telling the whole world how special we as believers in Yeshua (Jesus) who are “grafted-in” to Him as His very own children. This thought should encourage us to live for Him always. God wants to always remember us by “engraving” our names in His Hands so that whenever He looks at His Hands, He will see us. We belong to Him! Daniel testified… “Behold, a Hand touched me, which set me upon my knees and upon the palms of my hands,” Daniel 10:10. The word for “touched” here means to “violently seize upon.” Daniel was saying, in essence, “When God placed his hand on me, it put me on my face. His touch gave me an urgency to pray, to seek him with all that’s in me.” This happens anytime God touches someone’s life. Daniel a devoted servant was touched by God in a supernatural way. There were many other good, pious people serving the Lord in Daniel’s day as well as Baruch, a scribe from Jerusalem. Scores of Israelites maintained their faith as well while enslaved in Babylon. So, why did God lay “His Hand” on Daniel and touch him as he did? Why was this one man able to see and hear things no one else could? He declares, “I Daniel alone saw the vision: for the men that were with me saw not the vision,” Daniel 10:17. Then the incredible vision Daniel saw was a vision of Christ Hiimself; “In the four and twentieth day of the first month, as I was by the side of the great river…I lifted up my eyes, and looked, and behold a certain man clothed in linen, whose loins were girded with fine gold…His body also was like the beryl, and his face as the appearance of lightning, and his eyes as lamps of fire, and his arms and feet like in colour to polished brass,” Daniel 10:4-6. It was clear and vivid! In fact, it was the same vision given to John on the Isle of Patmos (Revelation 1:13-15). Now God spoke to Daniel unmistakably, “like the voice of a multitude.” The Lord revealed Himself to Daniel this way for a specific reason …He wanted to end the long famine of His Word and decided the time had come to deliver a message to lost humanity. And He wanted His servants to know what He was about to do and why… “To make you understand what shall befall your people in the latter days,” Daniel 10:14. What kind of praying had Daniel been doing to prompt such a visitation? Scripture tells us he’d spent three weeks in utter brokenness; “In those days I Daniel was mourning three full weeks. I ate no pleasant bread, neither came flesh nor wine in my mouth, neither did I anoint myself at all, till three whole weeks were fulfilled,” Daniel 10:2-3. Something else happened to Daniel while he prayed… he was brought to the end of his fleshly speaking abilities! The Lord now touched Daniel’s lips so he could speak as his oracle. He told his servant, “I have sanctified your tongue. Now I’m going to speak through you.” Anyone who speaks for God must have his tongue purged and purified. It happened with Isaiah and Jeremiah and now Daniel (Daniel 10:16, 18). These men’s experiences are examples to us all! God is searching for those who will take time to be shut in with him. Daniel himself was a very busy man. As a prominent government official, he had incredible demands on his time. Yet Daniel set his heart to seek the Lord three times a day, in fact, to pray. God answered him with an astonishing vision (Daniel 8:27). Daniel grieved over the spiritual decline of the people in his day just as we should grieve the spiritual decline in our day. There is a heart attitude in even the most joyous believer that causes him to mourn over the lukewarm condition of the church and the moral decline in our nation. We see this in Daniel’s life! At the time, Daniel was receiving visions in the middle of the night. He was miraculously delivered from a lion’s den. The Lord was blessing and prospering Daniel tremendously. Yet all that time, Daniel never put out of mind the grievous things God was showing him about Israel and the Last Days; “I Daniel was grieved in my spirit in the midst of my body, and the visions of my head troubled me,” Daniel 7:15. 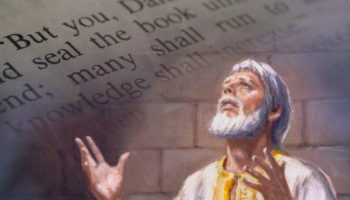 Over and over Daniel testifies… “These divine words, these visions of the future, troubled me. They stirred my soul, and caused me to mourn and grieve.” Now God revealed to Daniel that He was about to pluck up every evil thing and cast it down. He would stomp on wicked nations and destroy them. Judgment Day was near, time was running out …and yet - amazingly, God’s people were oblivious to it all? So, Daniel began to mourn over the deadness and depravity in God’s house! God's Hand is a symbol of His love, His constant care and protection. However, the Bible tells us in Hebrews 10:31 about being a “dreadful thing” if we fall in the hands of God. That word “dreadful” means horrible, alarming and frightening. It means it's horrendous to be part of those who do not believe in God - those who are His enemies! When a person is against God, ignores God’s voice, disobeys God’s commands or rejects God's leading and resists the sweet voice of the Holy Spirit, it is like falling into the angry and strong hands of God. The hand of God here is no longer a symbol of care and protection …but of judgment and discipline on sin! That is why, we must remain in the safe place always, “engraved in the palm of His Hands” enjoying His care rather than to fall into the hands of the living God receiving His wrath. How we relate to God in this life will determine whether we are one or the other. In 1 Samuel 5:1-12 we have an example of “the Hands of God,” upon the enemies of Israel! God's hands were very heavy upon the Philistines as a symbol of His judgment for their sin. Their sins had piled up because they have killed thousands of soldiers from Israel and they have taken the Ark of Covenant …and they have desecrated God's ark by bringing it to their camp! The ark was a wooden chest overlaid with gold about four feet long, two feet wide and two feet high. Its cover was made of pure gold with two cherubim angels hammered out of gold on top. The ark contained the gold jar of manna (symbolizing God's provision), Aaron's staff that budded (symbolizing God's authority), and the stone tablets containing the Ten Commandments (symbolizing God's laws to be followed). And so, the Ark was always a reminder to Israel that God is the source of all power …source of all provision and the giver of the law to be obeyed. Actually, the Philistines thought that they had taken captive and conquered the God of Israel …and they thought that they had been victorious in that battle. But they were wrong! They did not know that God was using the Philistines to punish and discipline His people, Israel! And so, “God’s Hands” was heavy upon the Philistines. 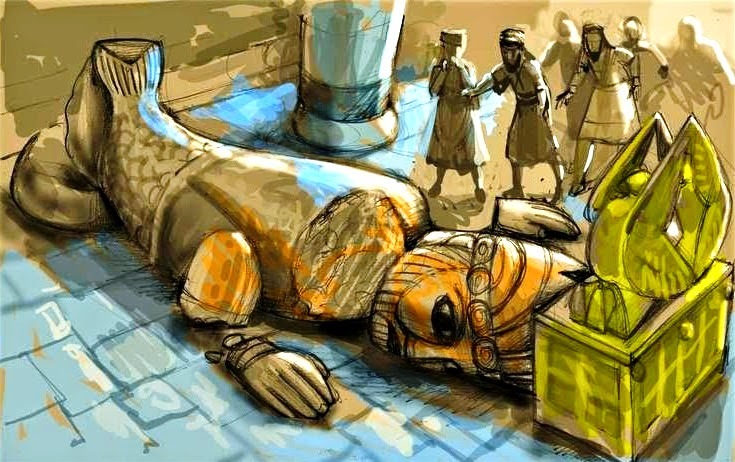 A lot of “dreadful and horrible” thing had happened in their temple, in their city, to their people …and the “Hand of God” was heavy upon their idol – Dagon! Then, the “Hand of God” was heavy upon the people of Ashdod and the people of Akron, inflicting them with illness! The last verse ends with these words; “the outcry of the city went up to heaven!” That means, it was so horrible that they had never experienced anything like it before. Wherever they had brought the Ark of God, there was an accompanying horrible judgment ahead. Because, it is a “” “dreadful thing” to fall into “the Hands of the living God,” whether to discipline His people Israel or whether to judge the enemies of Israel - the Philistines! That is why we today must always choose to serve and be faithful to God. Another example of God’s Hand of Judgement… In Daniel 5:1-39 we read that Belshazzar a new king is in charge of Babylon and he’s throwing the party of the century! While intoxicated, he decided to challenge the God of Israel by drinking out of some of the sacred items that were taken from their destroyed temple and to have the partiers drink from God’s sacred items. In the Ancient Times, this was considered a severe no-no regardless of who the god was. He decided to show the Israelite God who the boss is! This was an incredible act of sacrilege towards Yahweh. 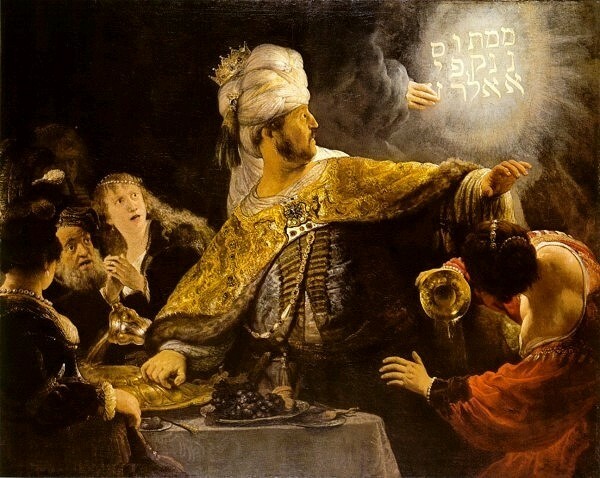 Belshazzar was calling God out in the most public of ways! But, God responded by writing a message on the wall. "Then from his presence the hand was sent and this writing was inscribed; MENE, MENE, TEKEL, and UPARSIN. This is the interpretation of the matter: MENE, God has numbered the days of your kingdom and brought it to an end; TEKEL, you have been weighed in the balances and found wanting; PERES, your kingdom is divided and given to the Medes and Persians," Daniel 5:24-28. With only a few words the author of Daniel records one of the greatest events in world history …the fall of the Babylonian empire and the beginning of the Medo-Persian empire. Belshazzar was executed just a few hours later. Over the course of history, the hand of God has written three messages and they are all important; The first time was on top of Mount Sinai when Moses received the Ten Commandments that were written on stone …and not only did God write those Commandments on stone - but He wrote them in our hearts. So, the first time God’s Hand commanded us. And, the second time, He wrote on the wall with a message of God’s hand of Judgement to unbelieving and rebellious Belshazzar. And, like Belshazzar we’ve all seen God’s handwriting on the wall in our lives and many times from where we stand, we may not be able to fully interpret the message but we know its implications! The world is full of people, who can see that something is wrong and who can hear the alarm in the air …who can see the handwriting on the wall …but like Belshazzar, they can’t figure out what it means! Some people, are still “too drunk with power” to see what the “Hand of God” is really saying. Others are too blind to see any distance ahead and still many just ignore the “Hand of God!” But, in their heart of hearts, must see the warning and know that something is wrong, even if they don’t understand its meaning! 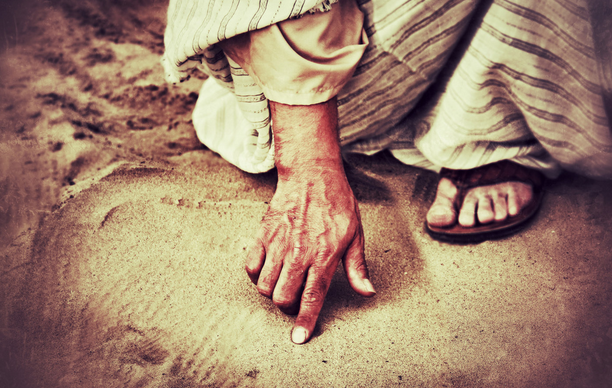 The third time we saw God’s Hand… Yeshua (Jesus) wrote something in the sand, in Jerusalem. The religious leaders of the day threw a woman caught in adultery at the feet of our Saviour, and said, “Master, you know the law, she has to be stoned.” They had already dug a pit nearby and filled it with manure and would stone her then take her to the pit, throw her in, and pelt her to death with stones. So, this woman was thrown onto the ground, at the feet of the Lord and in tears knowing that she’s guilty. Yeshua kneels down on the ground, right in front of the religious leaders, and with the “hand of God,” He writes a third message and looks up at them from the ground and says, “You who have not sinned throw the first stone,” John 8:1-11. There has been a lot of speculation about what the “Hand of God” wrote in the sand this third time? Some say that what Yeshua (Jesus) wrote was as simple as this, He wrote four words: Mene, Mene, Tekel and UParsin, and the Pharisees knew exactly what those words meant! God wrote what He wrote on Belshazzar’s wall. The kingdom of the Pharisees would be taken away from them. God had measured the religious leaders and found them wanting, and their kingdom would be given to someone else. Either way the “Hand of God” wrote this message, and everyone left. Yeshua says; “Woman, where are your condemners?” She says, “They are nowhere!” And, Yeshua replies; “Then neither do I condemn you, go and sin no more.” We are sure that from that day on this woman lived a life of great grace. It also is NO coincidence that part of the redemption process that our Lord was “pierced in His hands” when nailed to the cross (John 20:20). Our Lord didn’t come to condemn the world - He came to save it! The TWO hands of God… Not many are aware of the difference between the right and left Hand of God. For the most part, we have taught that God is a one armed or one-handed individual. The thought of God having a "right hand" and a "left hand" should not be strange to us. In the Scriptures, we find the right hand of God mentioned many times, and the left hand of God is mentioned on just a few occasions. A lot has been said as to the meaning of the "right hand," but few have any understanding or revelation of the significance of the "left hand." First, let us look at the meaning of these two words, right and left. The word "right" as used with "hand" is generally the Hebrew word "yamiym" meaning "stronger." The word for "left" is "smowl" meaning, "dark" or in Latin "sinister!" From the meaning of these two words it is very easy to understand that "God's right hand" is His strength or His wonderful ability to do all things. The implication is that the right hand of God is the "good hand of God – doing good things; "In Your presence is fullness of joy; at Your right hand are pleasures for evermore, Psalm 16:11. An example of God’s left hand of judgement is seen in the "Parable of the Sheep and Goats"– Matthew 25:31-46. Although the left side was often opposed to the right in such matters as goats on the left and sheep on the right, it is not necessarily intended to that being on God’s left hand is not always bad. The heavenly hosts are on both his right hand and his left. "Again, he said, therefore hear the word of the LORD; I saw the LORD sitting upon his throne, and all the host of heaven standing on his right hand and on his left," 2 Chronicles 18:18. Another example is in 1 Kings 22:19. What is meant by God’s Right Hand? In the Bible, to be at the right side is to be identified as being in the special place of honour! The term "God’s right hand" in prophecy refers to the Messiah to whom is given the power and authority to subdue His enemies (Psalm 110:1; Psalm 118:16). We find a quote in Matthew 22:24 from Psalm 110:1 - which is a Messianic Psalm. "The Son of David" is claimed by the Lord as He is the "greater son of David" or the Messiah. In Matthew 22:41-45, Yeshua (Jesus) asks the Pharisees about who they think the "Christ" or the "Messiah" is? The position of the Messiah is at God’s "right hand!" The fact that Yeshua is at the "right hand of God" was a sign to the disciples that the Lord had indeed gone to heaven. In John 16:7-15, Yeshua told the disciples that He had to go away and He would send the Holy Spirit. So, the coming of the Holy Spirit in the Upper Room on Shavuot - the Day of Pentecost (Acts 2:1-13) was proof positive that Yeshua (Jesus) was indeed in heaven seated at the right Hand of God. The hand of the Lord was with them, and a great number of people believed and turned to the Lord," Acts 11:21. The Apostle Paul writes in Romans 8:34 that Christ is "sitting" at God’s right hand making intercession for us. The fact that Christ is "sitting" refers to the fact that His work of redemption is done …and when the fullness of the gentiles is brought in (Romans 11:25), Christ's enemies will be made His footstool as the End of the Age comes, all prophecy is completed, and time is no more! God’s Word is true! He IS watching to see how the nations are treating His people. God will have mercy on Israel through Gentile believers acting as mediators towards them. This is one of the most amazing revelations ever given to the church – an opportunity to do something that carries the highest priority in the heart of God. Yet, sadly, so few have seen the potential and the rewards of serving God in this manner - as agents of mercy to Israel and the Jewish people! Israel was and still is despised today and a despised nation continually turning away from God but nothing ever altered the purpose of God for that nation. The despised element is always a noticeable element in the purpose of God. When the Saviour of the world came, He came of that despised nation; like Israel… He Himself was "despised and rejected by men," …and there is that despised element; "…things that are despised God has chosen," 1 Corinthians 1:28. Now, more than at any time is the time to support Israel and the Jewish people - the Lord’s Brethren! We are witnessing the nations and people turning their backs on Israel. Should you wish to support the many needs we have in Israel; Please click on the: Secure PayPal Donations below for a list of our ministry work in Israel. Thank you once again for your prayers and generous support!